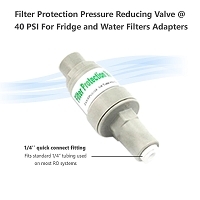 RO water purifier Parts Water Pressure 3/8" inches tube OD regulator pressure reducing valve / Quick fitting type. 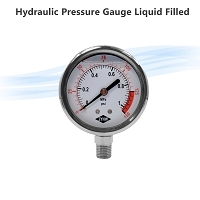 3/8" inches plug-in via a pressure control valve changes in driving CHAMBER FOR achieve steady designed pressure. 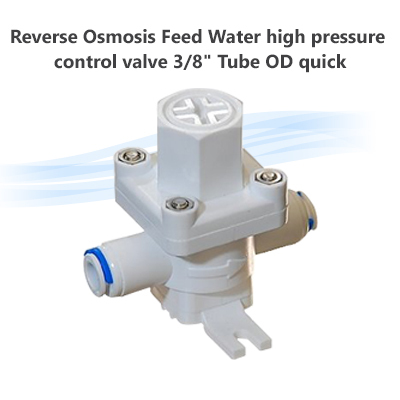 Main Material : a line with NSF, FDA food grade quality made ? ?of POM, EPDM rubber material are used internally with NSF, FDA certification. 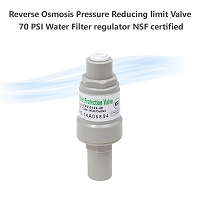 Scope: Applicable to all major reverse osmosis and water purification systems, lowering the incoming water pressure to curtain psi to prevent leakage caused by jet water purifier and avoiding other issues. 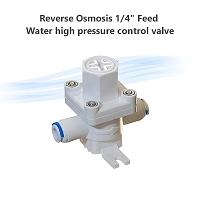 Suitable for high-rise buildings user, its avoid high pressure to cause unnecessary problems for Smart Toilet and prevent leakage. 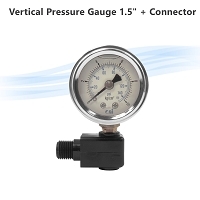 Vertical Pressure Gauge 1.5" - Oil inside, 1/8" thread, 10kgs/cm2 + pressure gauge connector 1/8" NPT x 1/8" MPT x 1/4" tube OD. 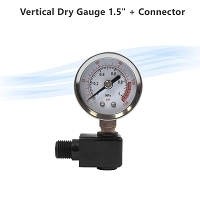 Vertical Dry Pressure Gauge 1.5" - 1/8" thread, + pressure gauge connector 1/8" NPT x 1/8" MPT x 1/4" tube OD.